Is a Marathon or Half Marathon your Bucket List? 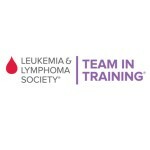 Take the First Step and Try Team In Training for FREE. Half or Full marathon distance, taking in the fantastic scenery of Donegal’s Atlantic Coastline. The event has a cow theme and fancy dress awards are given. Minimum requirement for runners is that they wear black and white. The Tel Aviv Gillette Marathon is an annual spring marathon and the largest to take place in Israel. In 2012, the race enjoyed over 25,000 participants. Run in the largest South Bohemian city known for it‘s rich culture and beautiful surroundings. Museums, amazing churches and castles, monasteries and nature trails – there is so much to see after running the race! Don’t miss the chance to run at night through the illuminated streets of Prague: an unforgettable experience. The Old Town Square and its surroundings will be animated with live music, dancing and many other great attractions. The METRO 10k Race is now also open to all the ladies!